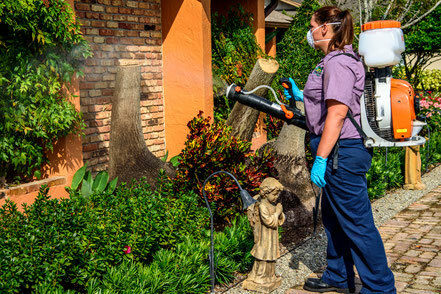 Orlando Mosquito Control Services | - Quality First Lawn And Shrub Care Inc.
Mosquitos are extremely easy to kill. We also understand their biology and habits allowing us to provide a service that greatly reduces their population on your property. The primary reason we can control mosquitos on a property that is surrounded by them is that they are extremely weak and poor flyers. They have great difficulty controlling flight and the must rest about every 6 feet. 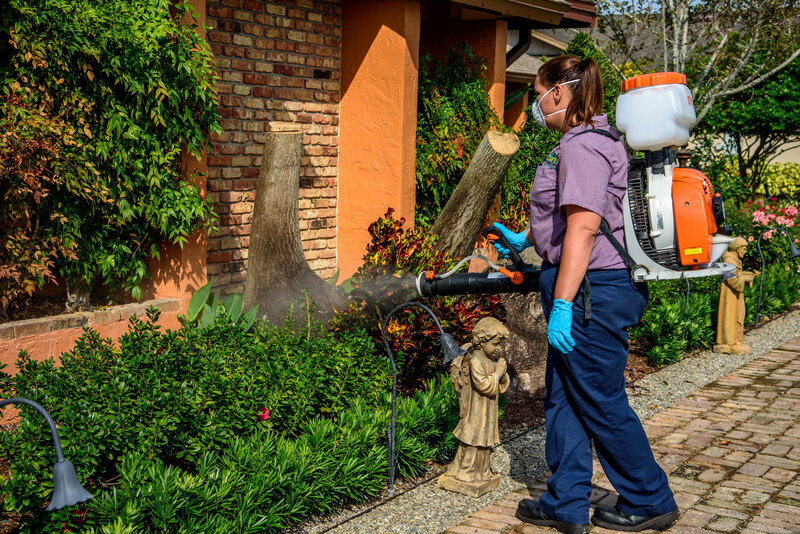 We use a blend of products in a machine designed for the application process so that we get extremely good coverage of a mosquito's resting areas. These areas are protected from sun and water so the product will remain active for a longer period of time. Since a minute amount of the pesticide will kill the mosquito we are able to get very close to 30 days of protection. We have a standard program where we treat during the peak months of activity from March through September. For those that spend time outside all year we provide a service where we apply every month of the year. We also provide event control. Just give us a weeks’ notice and we can do a one-time treatment so your guest can be comfortable during an outside event.